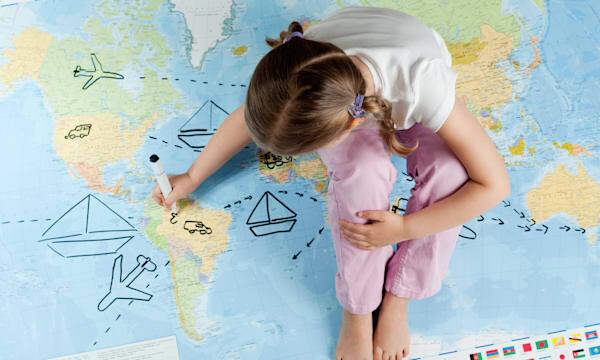 How Can Travel Empower Young Girls? In honor of International Day of the Girl, we’ve asked five female travel writers to write a letter to a younger version of herself, telling the girl tales of the experiences she can look forward to, and the lessons she will learn from travel. Through stories of language lessons realized from crashing a car into a ditch in Spain, or the realization after visiting a Tanzanian village that it doesn’t matter if your jeans are trendy, these women reveal the educational power of travel, and how essential it is for every girl to explore the world. We’d also like to celebrate some of the adventurous women who pioneered new frontiers of exploration. A visit to these sites and others that celebrate women in travel may just fuel the dreams for the girls of a new generation. In sharing these stories we hope you are inspired to Raise Your Hand for girls’ education, helping us spread the word on this crucial effort.